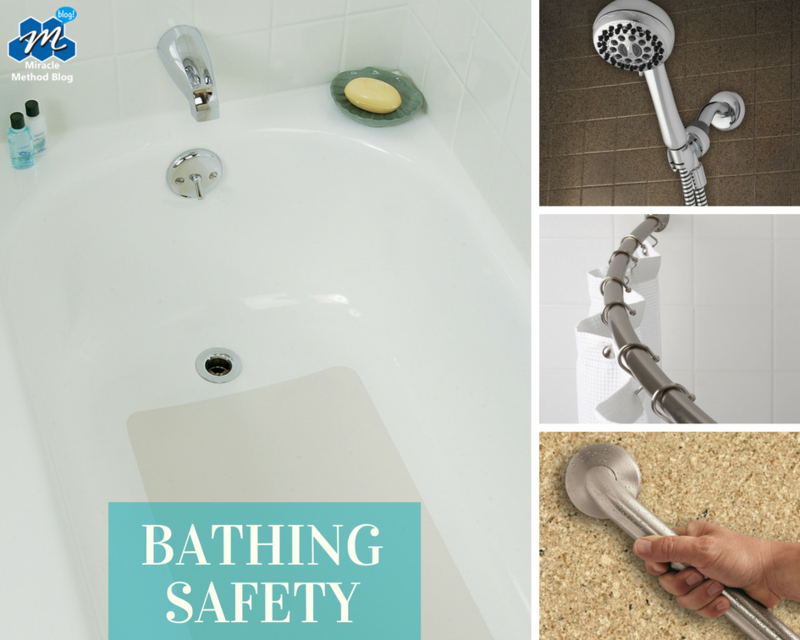 Retirement communities and nursing homes have a higher chance of a resident slipping and falling while taking a shower or bath, for obvious reasons. Installing a slip-resistant shower surface can help reduce these falls, which is one reason Miracle Method offers this bathing safety advancement for these communities in particular but also all customers. We believe it is vital that people of all ages or health can enjoy the comfort of using their bathing without the risk of injuring themselves. Aged retiring communities and home care nursing facilities can benefit from Miracle Method’s installation of slip resistant surfaces because they also include the installation of handheld shower nozzles, grab bars, and curved shower rods so as to increase the safety of the users. To learn more about Miracle Method’s bathing options, visit your nearest Miracle Method showroom or our website. Conveniently, Miracle Method can install a bonded, slip-resistant surface that will not peel in just one hour, is sanitary and easy to clean, and that even color matches the surface to your tub or shower pan. Learn more about Miracle Method’s Bathroom Safety Package today! Is refinishing just a cover up like bathtub liners? We are often asked the difference between bathtub liners and surface refinishing. 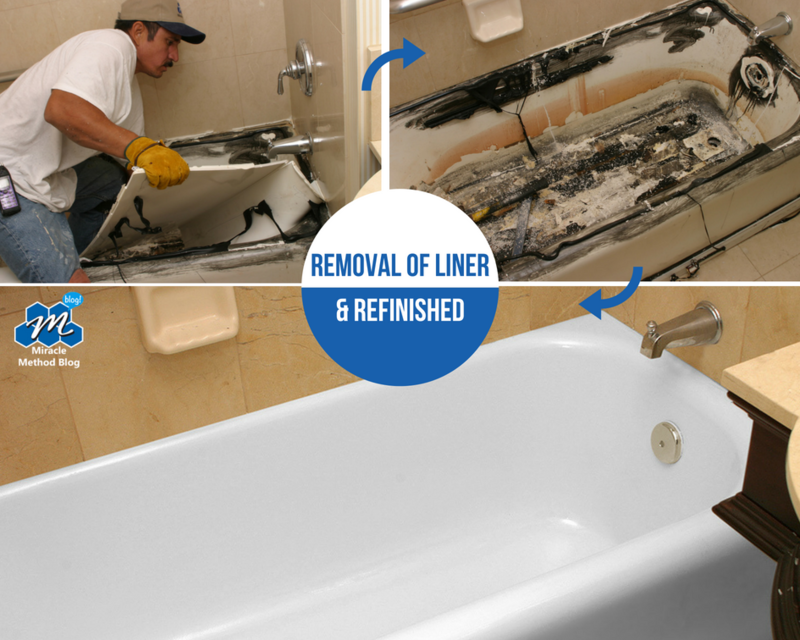 Simply put, liners are covers placed over your existing bathtub while refinishing restores the existing surface to like new. Bathtub liners are made of sheets of PVC plastic or acrylic, which are molded to the shape of an existing bathtub. The liner is then placed over a tub and glued to the top of that tub to cover it up. When you opt for a liner, you will sacrifice the deep gloss look of a restored porcelain tub for the look and feel of plastic. When you place a liner over your bathtub, you also lose additional space in the tub, making it smaller than the original size. The important thing to know about bathtub liners is they can, and usually will develop leaks over time, which can lead to mold, mildew, and a “squishy” feeling when one steps into the tub. Bathtub liners usually cost between $1,300 and $1,500. A wall liner system can also increase your project bill to over $3,000. It takes several weeks to go from measurements to the installation of bathtub liner. A licensed plumber is usually needed when a liner is installed because the extra thickness usually requires an extension of the drain and overflow. Bathtub refinishing, on the other hand, is a cost-effective and quick alternative for an old, worn out, or outdated bathtub. 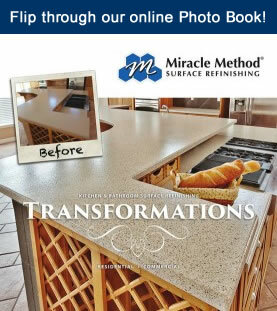 Miracle Method uses a proprietary non-acid refinishing process for guaranteed restoration of porcelain, fiberglass, acrylic, and cultured marble bathtubs. 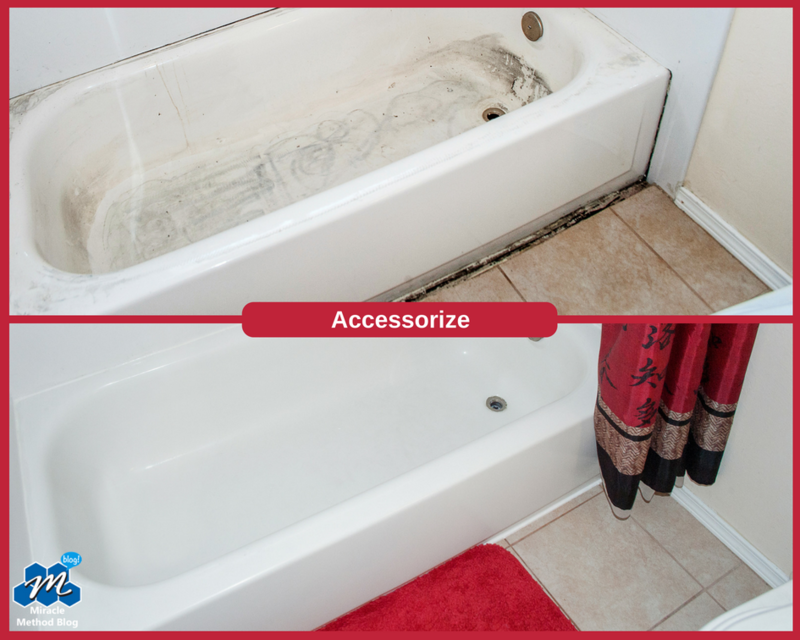 We’ll clean the tub, repair cracks and chips, and then apply our MM-4 bonding agent to ensure a solid bond between the old surface and new finish. Lastly, one of our trained professionals will use a fine-finish spray process to apply a hi-tech, durable acrylic coating. The result will be a gorgeous tub that looks like new and for a fraction of the cost of a new tub or liner! 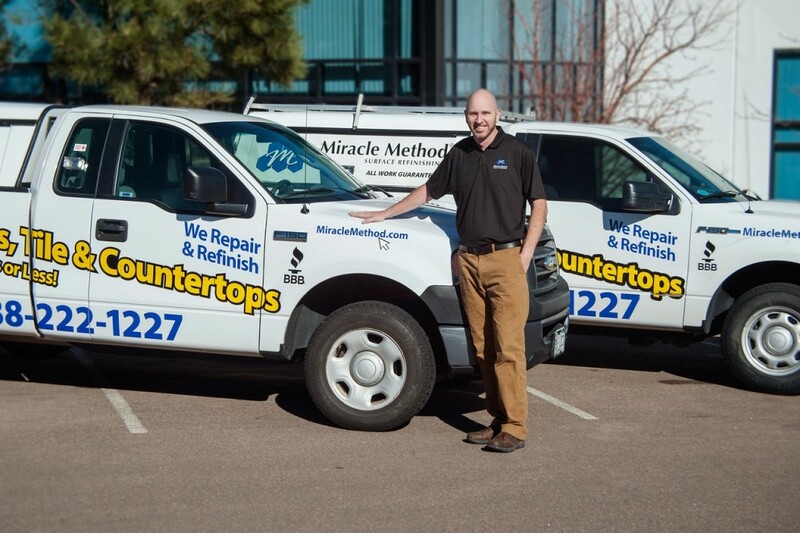 Visit the Miracle Method website for more information on the difference between bathtub liners and Miracle Method’s refinishing process for bathtubs. You can reach a franchise near you by calling 855-212-7337 or by using our online locator. Neutral shades have always been a popular choice for bathroom designs, but that doesn’t mean you can’t experiment with a little bit of color! Colorful schemes create a bright, cheery atmosphere, and when it comes to bringing color into your bathroom design, there are a variety of options to meet your style and budget. Take a look at these 6 easy ways to add color to your bathroom design. Shower curtains are one of the most inexpensive ways to add color to your bathroom. You even have the flexibility to change out curtains depending on your mood or the current season. 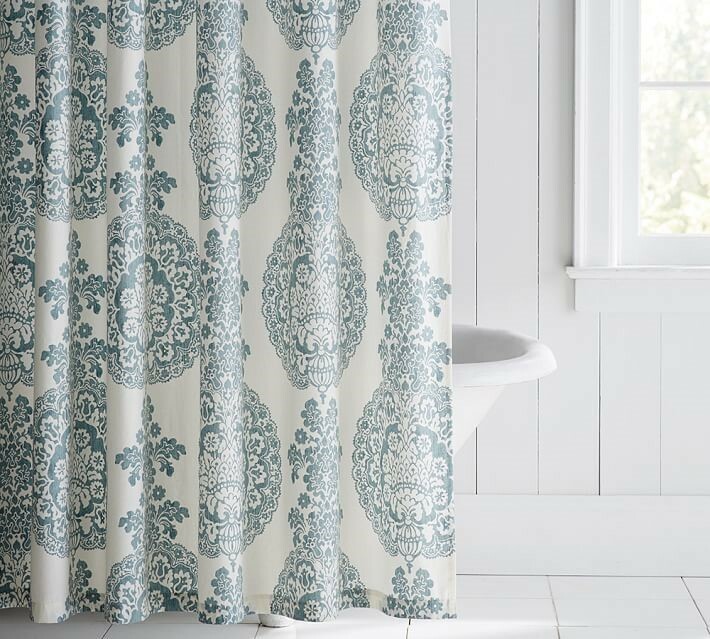 For a variety of colors and styles in shower curtains, shop popular home good stores like Target, Wayfair and Pottery Barn. 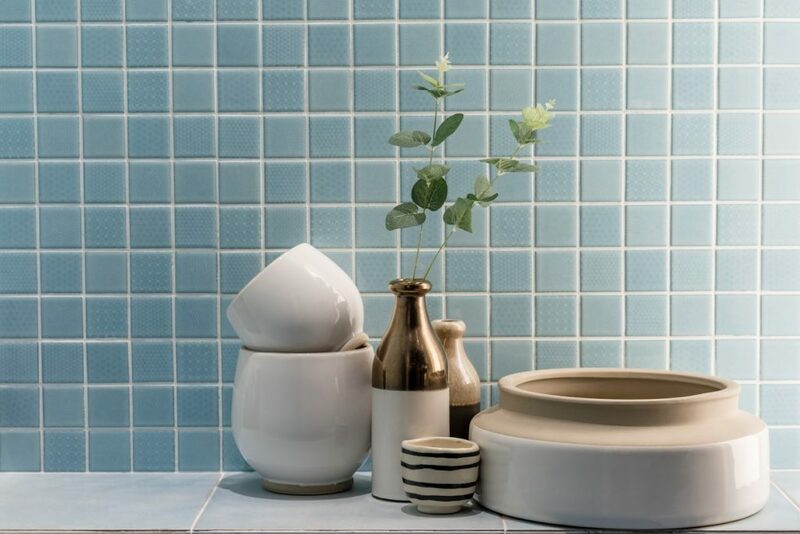 Bring in pops of color to your bathroom with some trendy decor. Popular décor items for bathrooms include mirrors, lighting fixtures, display shelves, wall art, baskets and greenery. Adding any of these final touches to your bathroom will leave your space feeling fresh and well-pulled together. 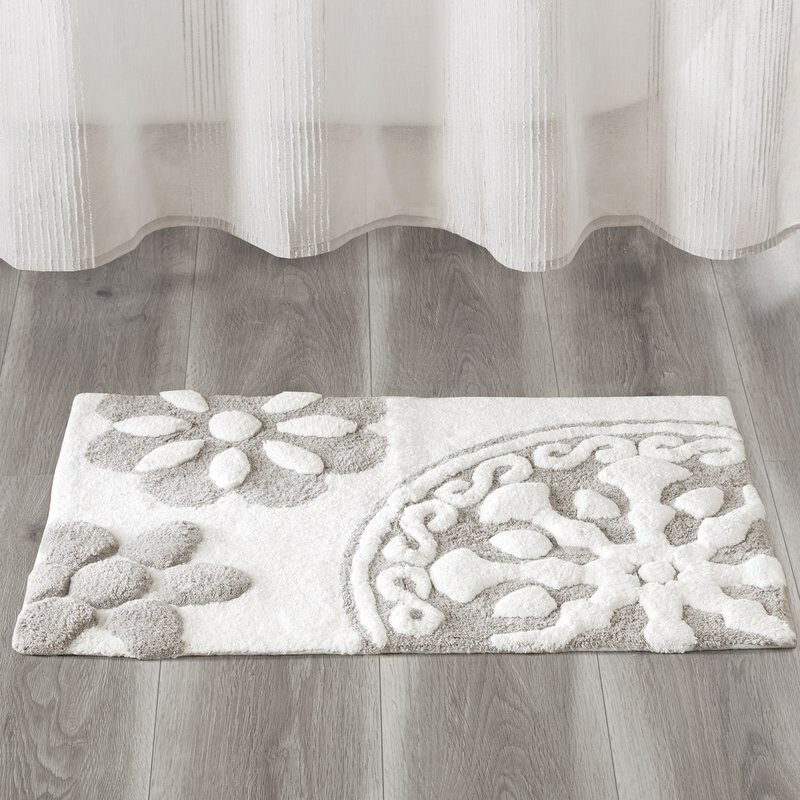 Let’s face it, no bathroom design is complete without a warm, cozy bath mat or trendy area rug. Not only do rugs protect your bare feet from the cold floors, but they offer a luxurious look and feel. 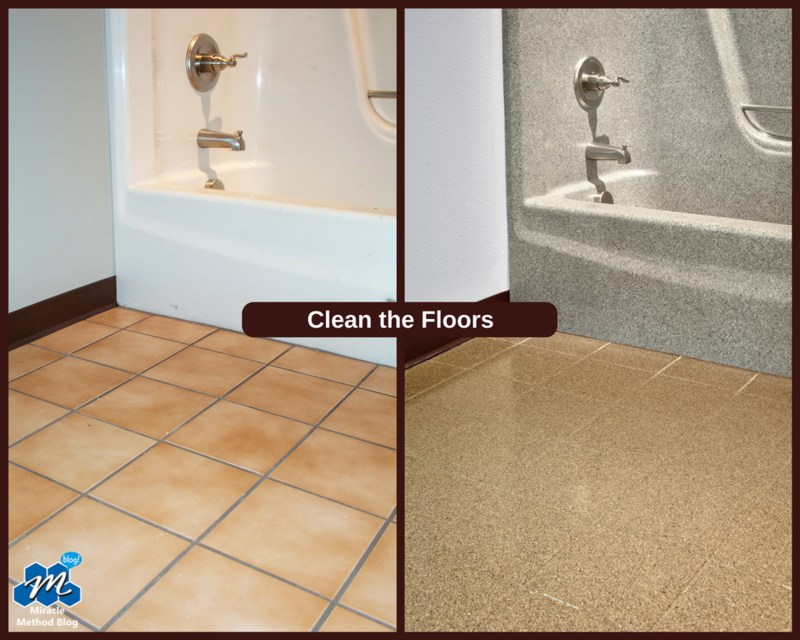 Add a splash of color to your bathroom while keeping your feet happy! 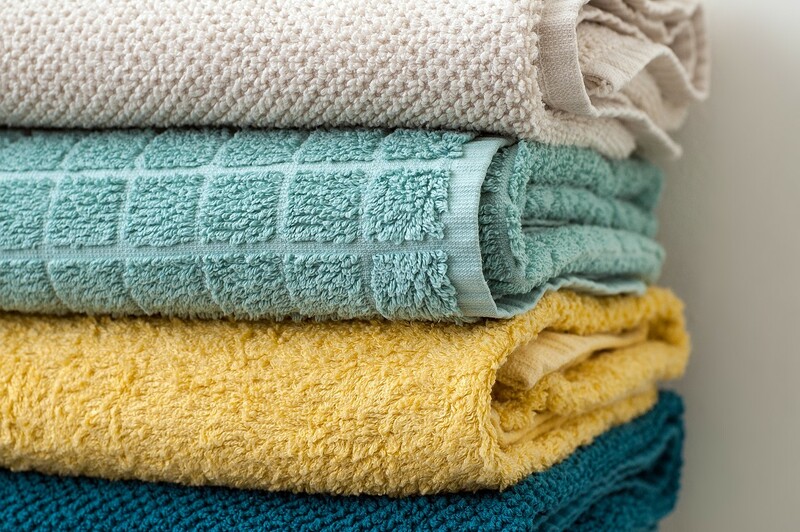 Another unique way to spruce up the look of your bathroom is with colorful towels. Pair multiple shades of the same color or use a combination of different colors. 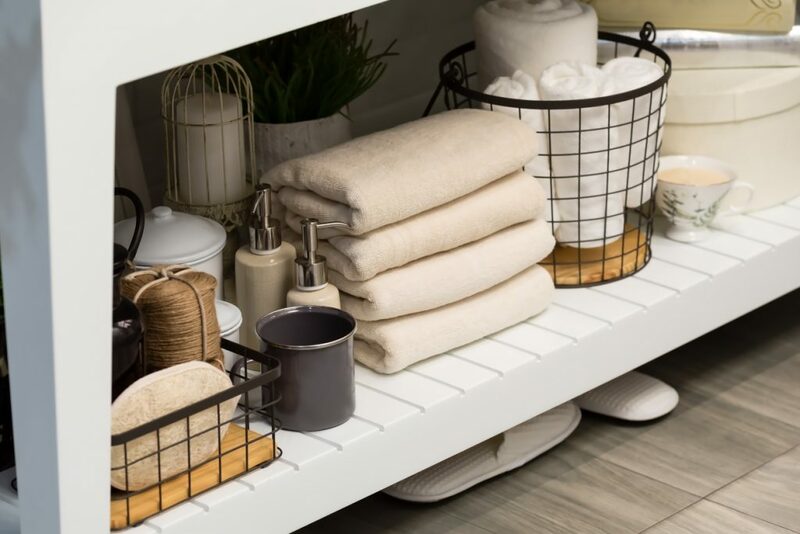 Regardless of which you combination you choose, incorporate the colors of your towels with your accessories, decor, shower curtain, window coverings, and any other colors used in the room. 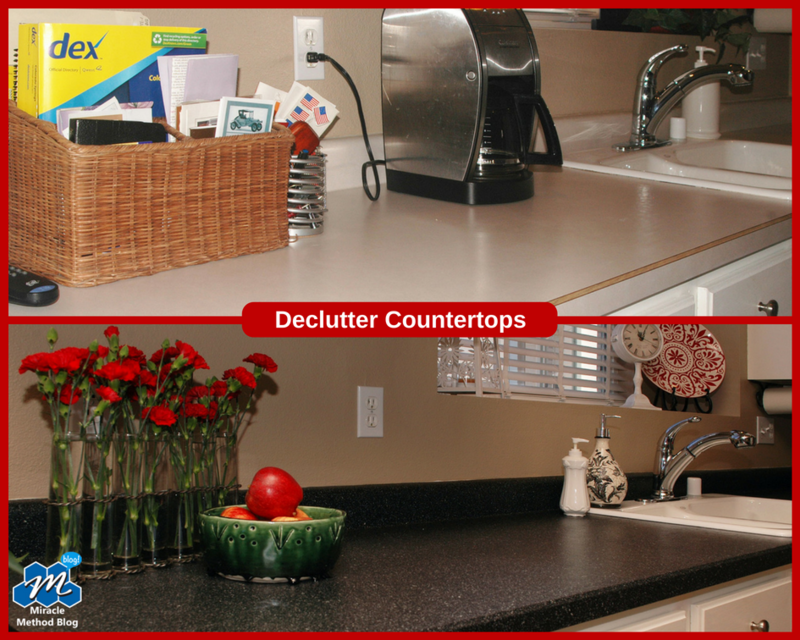 Complete the look of your vanity top with a beautiful backsplash. Better yet, save time and money upgrading your existing tile backsplash without removal or replacement. 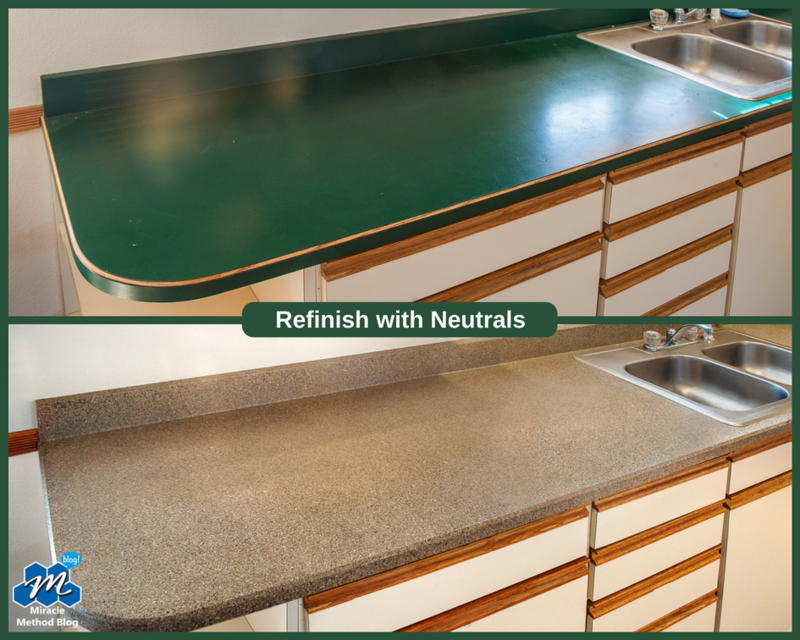 With a practical and affordable solution like surface refinishing, homeowners can achieve beautiful results while saving thousands over the cost of replacement. View some stunning transformations here. Painting an accent wall is a wonderful way to add color to your bathroom design! For a truly, integrated look, choose a color that blends well with your fixtures, countertops, décor and space dimensions. Find and explore paint shades here. For more information on bathroom designs and affordable solutions like surface refinishing, call us at 855-212-7337 or find a Miracle Method location near you! Are you tired of looking at that hideous and outdated tile and color scheme every time you step into the bathroom? Are you ready to transform your bathroom but worried about the cost, mess, and hassle of replacement? Well, we have news for you today, and we know exactly how to make your bathroom makeover be simple and stress-free. If you follow these four tips, your bathroom makeover won’t be a complicated project that takes months on end to finish. Whether you’re considering a large or small remodeling project for your bathroom, planning ahead is essential to making sure your home renovations run smoothly. 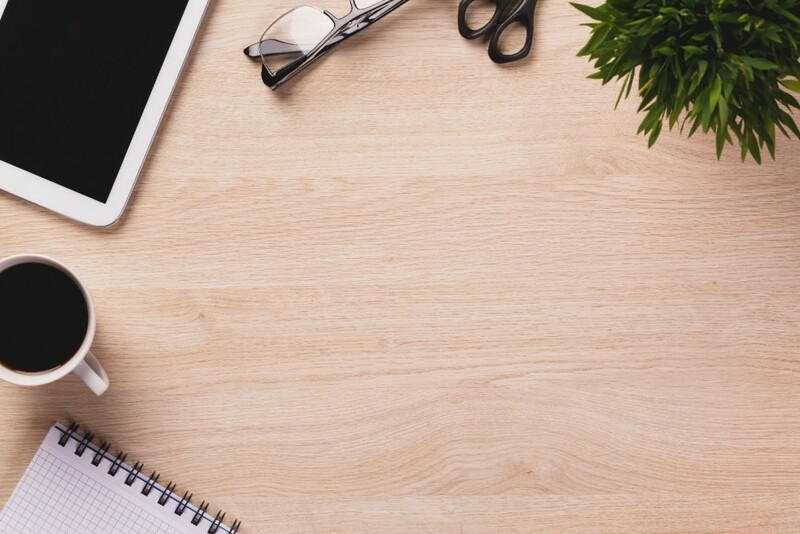 The first step is to establish a concrete plan to clearly identify three things. 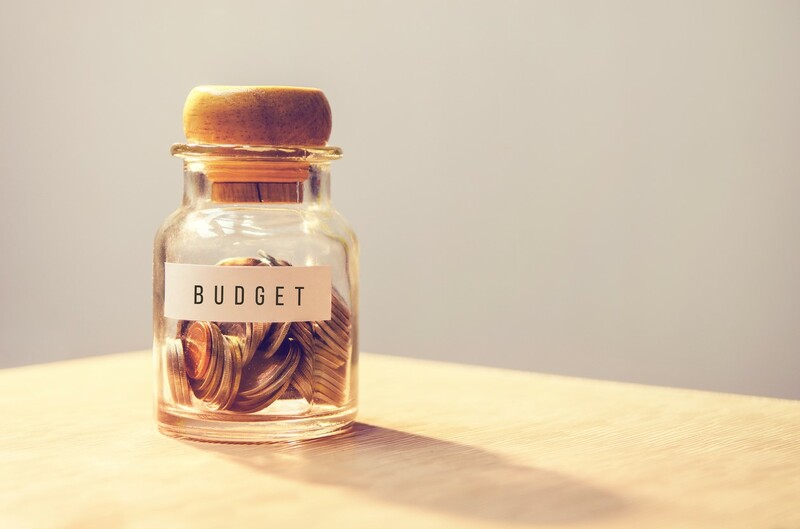 Your needs, budget, and overall project goals. The next step is to explore all of your remodeling options. Take the initiative to visit showrooms in your local area for quick guided-tours of fresh and modern displays. This way you can not only envision the way you want your new bathroom look, but you can design it exactly how you want with professional aid! Often times, a homeowner’s budget can place heavy constraints on home remodeling methods. Replacement remodels happen to be one of the most expensive renovations alternatives currently out on the market. However, with the affordability of surface refinishing, you never have to sacrifice style or quality to upgrade your home. In fact, when it comes to remodeling with Natural Accents® stone look finishes, customers can actually save up to 75% over the cost of granite or real stone. Miracle Method, the nation’s largest kitchen and bathroom refinishing company can transform any bathroom to sparkle with absolute beauty. Check out some of the transformations here! Scheduling your renovations can be a tricky task when the project timeline calls for any type of demolition or additional plumbing work in the home. 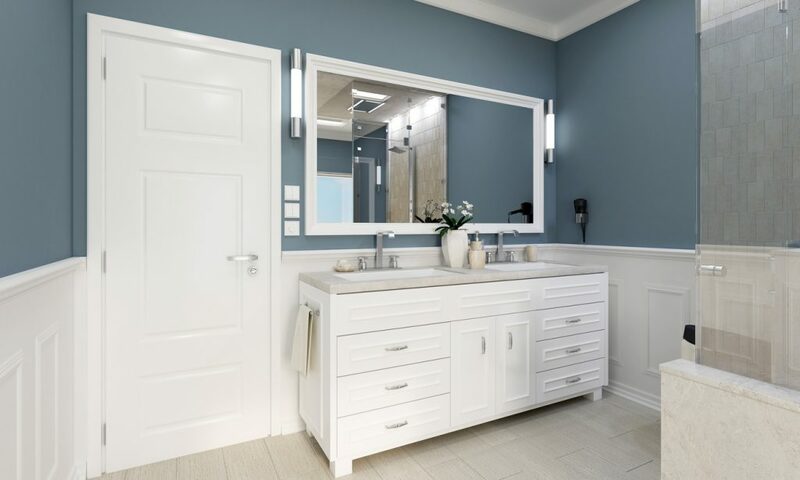 If you’re looking for a timely solution, the refinishing process takes as little as two days or less to fully transform your existing bathroom vanities, showers, or bathtubs to look and feel like new again. 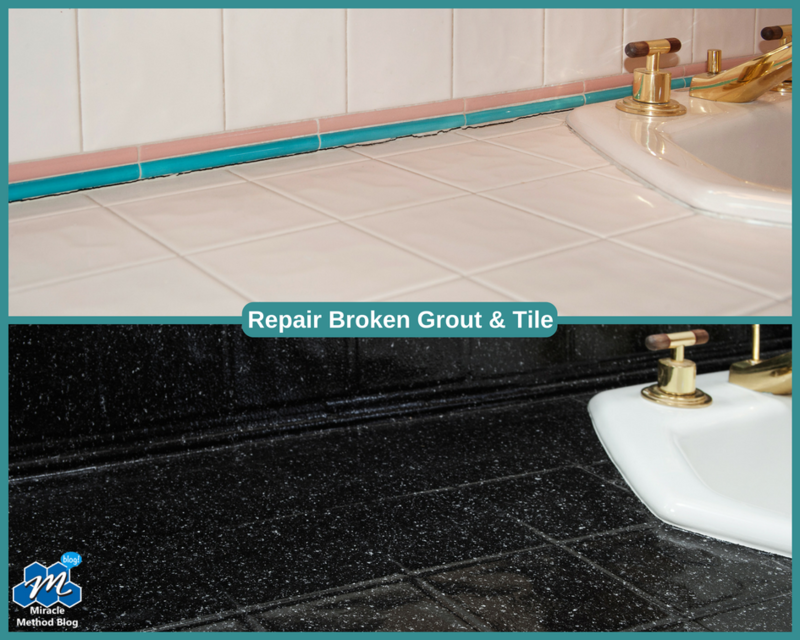 Your existing surfaces can be repaired and refinished in place without ever tearing out the existing surface. The timeline for remodeling is significantly reduced when you decide to refinish your existing surfaces, and best of all there’s absolutely no mess involved! Home remodeling should always be handled by a professional company with licensed and insured technicians. When selecting a professional to handle your stress-free bathroom makeover, be sure to research company reviews, work experience in the industry, and service warranties. This way you know you have placed your bathroom makeover in the hands of a trusted professional. And remember, bathroom remodeling projects can be very expensive, especially if you have to go back and fix that disaster “do it yourself” project. You won’t regret using a professional service that delivers a well-designed makeover with high-quality, durable and beautiful results. For more ideas on how to plan a simple and stress-free bathroom makeover, contact your local Miracle Method at 855-212-7337.